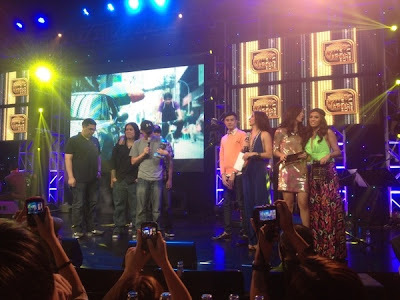 MYX Philippines has announced the winners for the MYX Music Awards 2012 Tuesday night, March 13, 2012, at the Music Museum. Leading the MYX Music Awards 2012 winners was the the alternative rock band Parokya Ni Edgar winning a total of six (6) awards. Rapper Gloc-9 follows with three (3). With its 6 awards, Parokya Ni Edgar now shares record with Sarah Geronimo for having the most MYX awards won in a given year. Sarah also won 6 in 2009. The most awarded artist ever in MYX Music Awards' 7-year history, Sarah Geronimo won Favorite Media Soundtrack this 2012 for the song "Fallin'", theme song for her blockbuster movie "Catch Me I'm In Love". It's already Sarah G.'s 3rd for this category and her 15th MYX Music Award. As of 2012, she holds record for winning the most (3 times) in 3 different categories: Favorite Artist, Favorite Female Artist and Favorite Media Soundtrack. 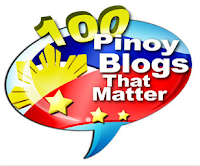 For the 2nd consecutive year, Gloc-9, Yeng Constantino and Parokya Ni Edgar won as Favorite Male Artist, Favorite Female Artist and Favorite Group respectively.